Using the jaundiced version of the past is one of the biggest tools of communal forces. The prevalence of hatred towards ‘other’ communities is rooted in the versions of past which are part carry over from the past legacy introduced by British and part constructed by the communalists, who in turn ‘select’ the incidents and distort it in such a way so as to fit in their scheme of things. The same incident may be interpreted from opposite angles by competing communal ideology. This view of past at one level glorifies the kings of one’s own religion while looks down upon the kings of other religion. So, for example, currently there is an assertion to call Rana Pratap as great. Why and how some king becomes great? The parameters differ. Sometimes in the same region the interpretation of king varies with different castes and different religions, and this is so much true about Maharashtra’s Shivaji. For some he the one who is devoted to cows and Brahmins, for others he is the one concerned about welfare of rayyat (farmers). The most important distortion of presenting king in the identity of his religion is that the underlying system of authoritarianism and feudal exploitation gets undermined, hidden from the popular perception. Also the very concept that Kingdoms did not have the concept of citizenship and nation state also goes for the toss and the claim of origin of nationalism starts taking root from the first king of that religion, like Mohammad Bin Kasim being regarded as the founder of Islamic nationalism. Here Hindu communalists claim to be a nation state from the Anaadi Kal (Past beyond boundaries), irrespective of what might have been the pattern of social organization, tribe, clan, kingdom etc., at that time. In this again; some kings become good and some bad. As such all of them are sitting on the top of system of exploitation of the peasantry and prevalence of all the norms like caste hierarchy and patriarchy, which cannot be accepted today. The construction of Hindu communalism roots itself on demonization of Muslim kings and Aurangzeb seems to be leading the pack of such villains in the perceptions prevailing in Indian part of the subcontinent. Guided by these unshakable perceptions; one BJP MP called for the change of name of Aurangzeb road in Delhi, to APJ Abdul Kalam Road. This was done in a total violation of prevailing practice of how the roads are named. It was upheld by the self proclaimed messiah of anti corruption movement Arvind Kejrival. The name changing was supposed to be an exercise in righting the wrongs of history! What has been right in the history is another matter of infinite debate and the answer will depend on which side of social ideology one is. What is right from the point of view of poor farmers, or dalits or Adivasis or women is a million dollar question. Glorying of Kings; barring those who stood up to protect the social interests of downtrodden; is very questionable. 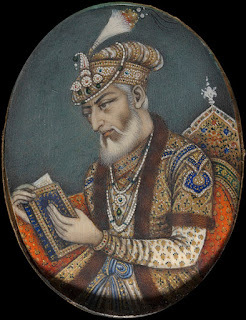 All said and done Aurangzeb has been demonized to the extent that very mention of his name sends a shock to most of those who have imbibed the prevalent notions about him. Can one shake off the perception about his being so power hungry and that he killed his own brother Dara Shikoh for sake of power? The simple fact is the same thing applies to many kings. 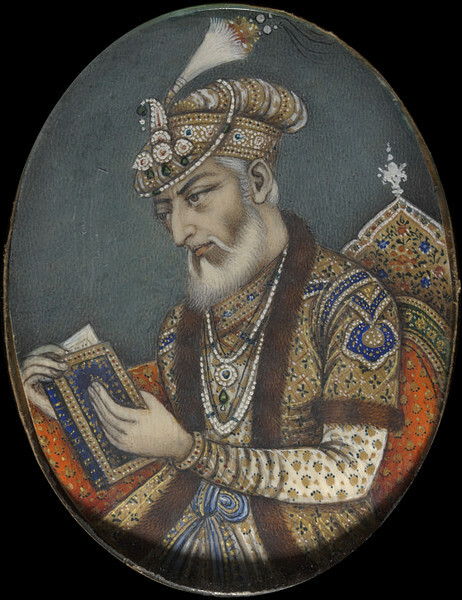 Emperor Ashok killed many of his cousins for coming to power. As late as in recent times the killing of Birendra Singh by his brother King Gyanendra is on the same lines. The conspiracies in the royal families have been part of the power structure of kingdoms all over. What about Aurangzeb’s goal of converting the people to Islam on the point of the sword. To begin with Islam did not spread due to the Muslim kings; mostly it was the caste structure to escape which many shudras embraced Islam. Swami Vivekanand in his collected works Volume VIII, Page330 points out that conversion to Islam was to escape the caste system’s atrocities. Islam also spread due to social interaction as in Mewat and Malabar Coast. What about Guru Gobinds’ sons being beheaded by Aurangzeb, was it an attempt to conversion or an attempt to humiliate the defeated king? This example cited in this case is that of a king who was defeated in battle and so when he sought pardon; this insulting condition was put. Alexander Hamilton, a British historian, toured India towards the end of Aurangzeb’s fifty year’s reign & observed that everyone was free to serve & worship god in his own way. If Aurangzeb and other Muslims kings were here for the goal of conversions, in the whole eight hundred years of their rule; most of the population would have become Muslims. And how come so many court officials in their courts, who are having high designations, continued to retain their Hindu faith? They would have been ideal subjects for conversions. What about the dreaded Jazia? As per Prof. Harbans Mukhia, scholar of medieval history, Aurangzeb imposed jazia in 1669, well 21 years after his coming to power. The taxation policies of different kings had been changing from time to time. While able bodied Hindu males were to pay jazia, zakat was the tax to be paid by Muslims. There were many other taxes which Aurangzeb had lifted also. Jazia has got stuck in popular perception as a sign of Aurangzeb being anti Hindu. Then; what about the destruction of Vishwanth temple and building of mosque on the top of that? There are some temples which were destroyed by him and some others supported with grants. A stone inscription in the historic Balaji or Vishnu temple, located north of Chitrakut, Balaghat, still shows that it was commissioned by the emperor Aurangzeb himself. His administration made handsome donations to temple of Pandharpur the seat of deity Vithoba. The great temples of Mahakaleshwara, Ujjain, Balaji temple, Chitrakut, Umanand temple Gauhati, & the Jain temple of Shatrunjai and gurudwaras scattered over northern India also received his grants. These firmans (court orders) were issued from 1659 to 1685AD. Dr. Vishambharnath Pandey did collect number of firmans of Aurangzeb where he gives the grants to Hindu temples. So how does one explain the contradiction? It is simple; due to factors related to power some temples were destroyed. To keep the subjects in good humor temples were also supported and to eliminate the sources of rebellions concentrating in temples others were destroyed as well. The British must be having the last laugh! The history writing which they introduced was giving the king only a single identity, that of religion. Hindu and Muslim communal streams picked it up and modified it to suit their political goals of polarization of communities around them. The additional factor was that the British also had to win over the loyalty of the subjects from the earlier rulers, the Muslim-Mughal kings. So the formulation that they have come here as liberators from the cruel Muslim rule. What this meant for the sub continent is too well known by now with Shahshi Tharoor’s Oxford lecture going viral and telling us the extent of plunder done by these liberators, who claim they came here as part of ‘civilizing mission of the east’. Akbar and Aurangzeb are presented in contrasting colors, Dara Shikoh in yet another hue. All of them do represent the different shades of the personalities of the kings, but kings they were, primarily the head of the feudal system of society. The name changing game is part of the communal agenda of divisive nationalism, which feels the Emperor who ruled this part of the subcontinent for forty nine long years cannot have a road in his name.